The Presidency says it is "quite outraged" after a picture surfaced of President Cyril Ramaphosa kneeling next to Zulu King Goodwill Zwelithini, and social media users claiming it was from the president’s visit this past weekend. 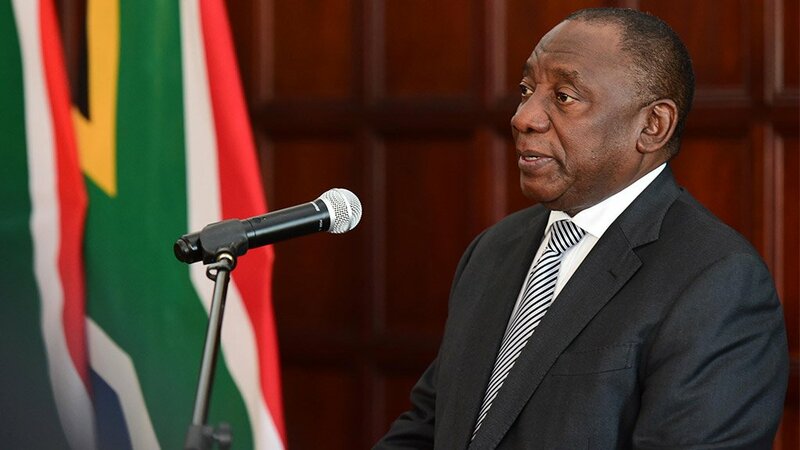 Ramaphosa’s spokesperson, Khusela Diko, said social media users had taken the picture out of context and that it was in fact taken in November last year while Ramaphosa was still deputy president. The picture showed Ramaphosa kneeling next to the Zulu king holding a book. Social media users claimed it had been taken over weekend after Ramaphosa hastily cancelled meetings in KwaZulu-Natal to meet with Zwelithini on Friday. It came following the Zulu king’s comments over the Ingonyama Trust and the issue of land. "[The picture] has absolutely no relation whatsoever with the engagements the president had this past weekend with King Zwelithini," she said. Diko said what the Presidency found "most offensive" was the suggestion that he was "groveling" in front of the Zulu king. Diko lamented the fact that the picture, taken in 2017, was taken out of context and used in a manner deemed to be offensive to Ramaphosa and his office. "We just wanted to set the record straight. The president has the utmost respect for traditional leadership in our country and he has the utmost respect for traditional law in our country, but in this particular instance it has been misinterpreted," she said.